It is the combination of IVF (In Vitro Fertilization) and PGS (Preimplantation Genetic Screening). 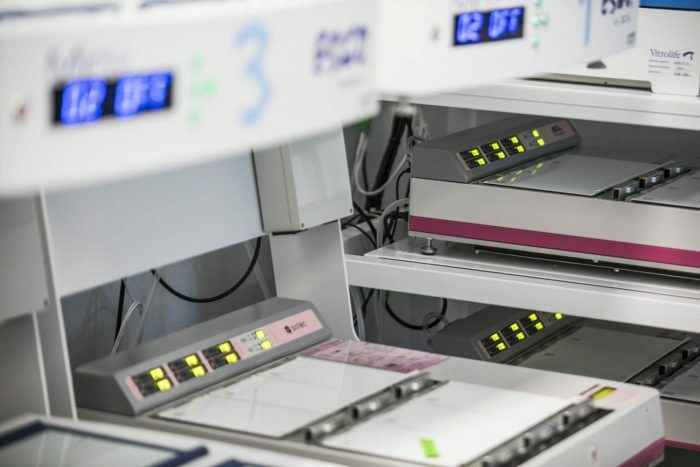 Although both techniques have been used for a long time, IVI now offers them in very favourable conditions to ensure, even more so if possible, the safety of its patients' newborn babies. This is the combination of IVF (In-Vitro Fertilization) and PGT-A (Preimplantation Genetic Testing-Aneuploidy). 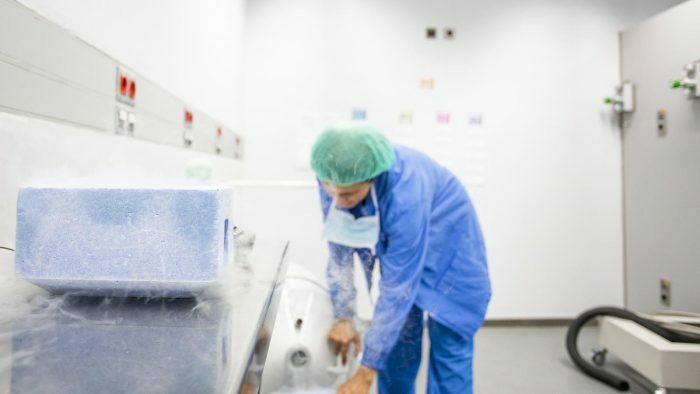 Although both techniques have been used for years, IVI currently offers advantageous terms in an effort to secure, even more if possible, the best results resulting in healthy live births. Thanks to the chromosomal screening, the IVF GENETIC treatment increases the success rates per embryo transfer and it consequently increases the chances of having a healthy baby. Your safety is our commitment: safe way to achieve a quicker pregnancy and safe way to have a healthy baby. The selection of the best embryos through PGT-A improves the chances of pregnancy after implantation to 70%. The transfer of the best embryos increases the chances of success and also the treatment is performed quickly. The chances of pregnancy after the first attempt is multiplied, therefore we avoid that patients need to try more than one cycle. 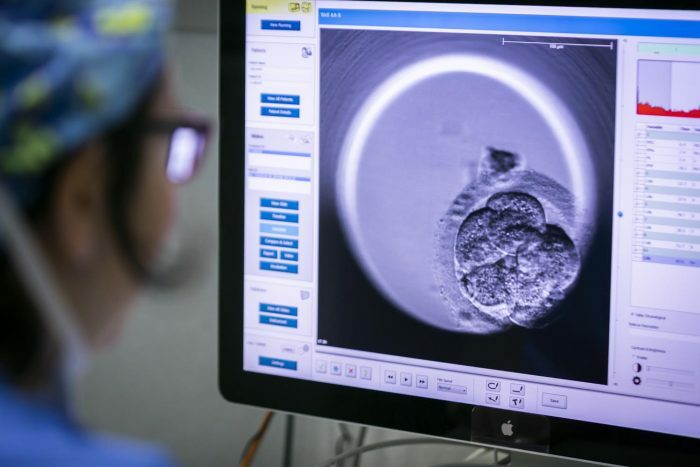 PGT-A allows to identify chromosomal unbalances in way that only the best embryos are transferred, which significantly reduces the risk of miscarriage. Increased chances of having a healthy baby. PGT-A identifies those chromosomally healthy embryos before being transferred in order to discard genetically abnormal embryos. Women suffering from advanced endometriosis, with probable repercussions on the tubes and on oocyte quality. Our fertility clinics offer a personalized diagnosis and a safe procedure to achieve the birth of a healthy baby. 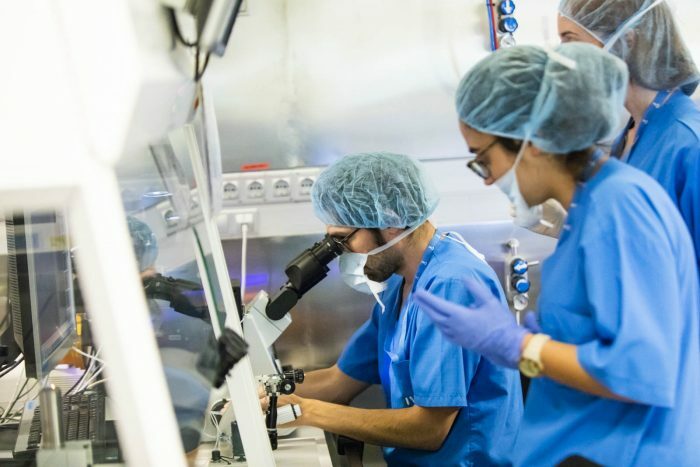 The ovarian stimulation during an IVF GENETIC treatment consists of injections of hormones that stimulate multiple selection and development of more than one oocyte per cycle with an aim to obtain more than one oocyte for fertilization. The treatment is performed in assisted reproduction clinics and it takes between 10 to 20 days, depending on the stimulation protocol chosen. Our health professionals will indicate the type of medication and appropriate dosages for each woman, based on each individual case. The patient will self-administer daily injections which contain hormones. 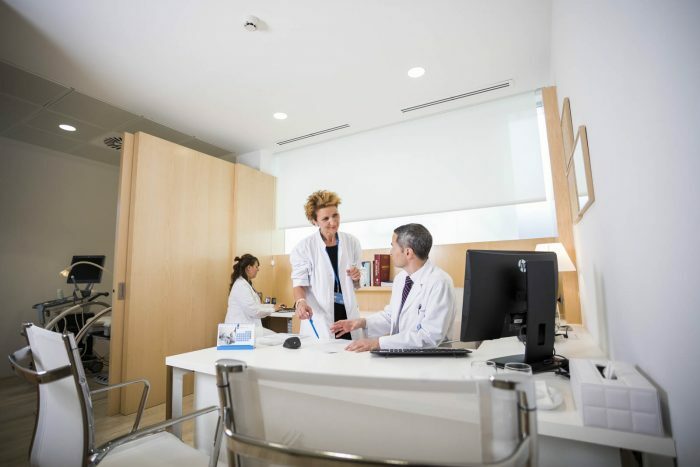 During the process, follicle tracking through transvaginal ultrasound scans will be performed and serum oestradiol levels in blood are also measured in order to control ovarian follicular growth and maturation. When the follicles have reached an appropriate size, the egg retrieval is scheduled. An injection of hCG is administered in order to trigger ovulation and, approximately 36 hours after the hCG injection, egg collection takes place. The patient attends the clinic in order to undergo egg retrieval under light sedation to prevent discomfort. The procedure takes 15 minutes and a gynaecologist, an embryologist and the anaesthesiologist. The sperm are then mixed with the retrieved eggs to allow fertilization to occur. 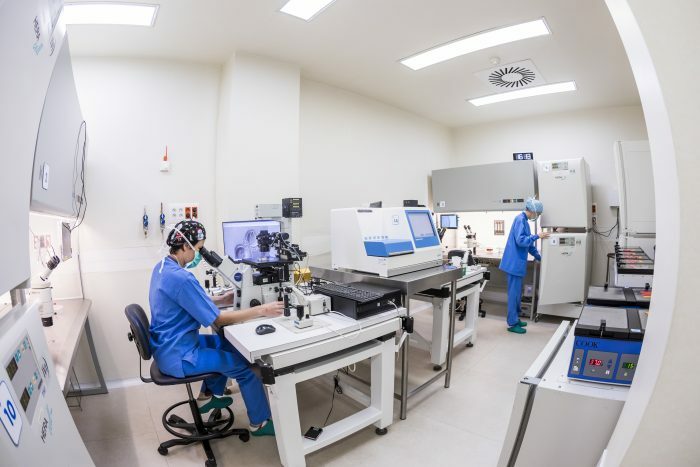 Fertilization can be carried out by two methods: conventional IVF, which consists of placing the eggs in contact with sperm in a petri-dish and ICSI, which consists of microinjection of a sperm directly into the mature egg with the help of a pipette. 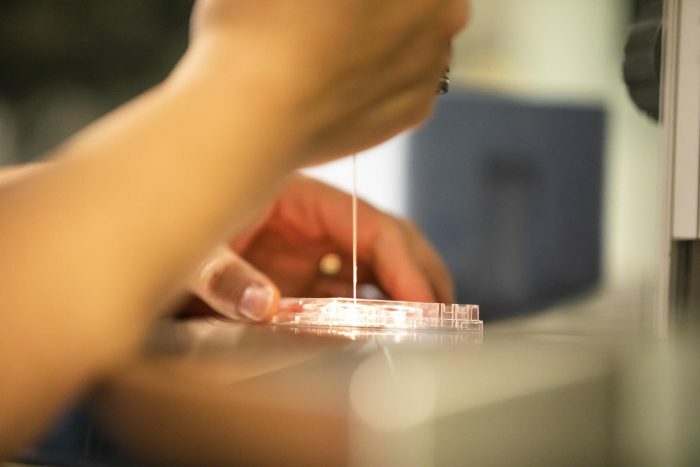 The resulting embryos after fertilization of the oocytes are then observed inside the lab and classified according to their morphology and cell division. PGT-A is performed at blastocyst stage, when the embryo is on day 5 or 6 of development. The procedure involves the biopsy of the embryo, by which a few cells are extracted without affecting embryo viability. 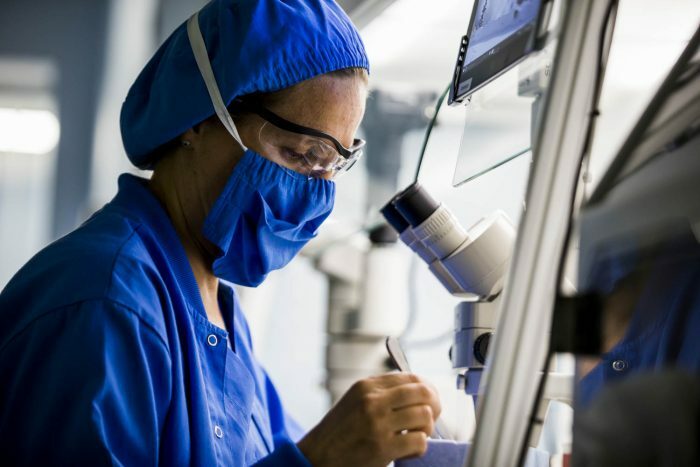 After biopsy, the embryos are then cryopreserved until the results of the screening are received and decisions can be taken on a reliable manner. Once studied, only healthy embryos will be selected for transfer. After PGT-A, the selected embryos are transferred into the uterus by passing a catheter designed for the procedure. The embryo transfer is a simple, painless procedure and no sedation is necessary. After a few minutes rest, the patient is allowed to return home. All unused good quality embryos will be vitrified and stored for a future use without the need to undergo a new stimulation cycle.